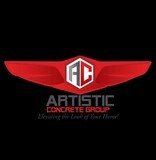 Today Artistic Concrete Group continues to move forward by offering a full suite of value-added services to our customers. Established for over 39 Years, serving Miami-Dade, Broward, Monroe and Palm beach counties. We specialize in all custom concrete hardscape installations for interiors and exteriors. Servicing commercial and residential clients. We look forward to building new relationships. At Paver Aider we take pride on having a professional working with you from the beginning when the estimate is taking place to the time we take the trash out. No contractor dealing with several professionals at the same time. We are a new local business emerging with more than 16 years of experience. National Brick Pavers is a major source for over 50 types of brick. Many clay bricks are available, including Chicago Brick and concrete brick pavers. Because we have access to many manufacturers, virtually any color is available and we are able to secure rare and unusual varieties seldom seen else-where. In addition, we can arrange to ship your selections anywhere in t he world. 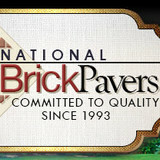 In Florida, National Brick Pavers serves Broward, Palm Beach and Dade County. Installation services include: pool decks and patios, ponds and waterfalls, pool renovations, outdoor kitchens, pool coping and tile, diamond brite, retaining and ornamental walls, repairs and brick paver main-tenance, plus seawall and dock installation and repairs by certified engineers. 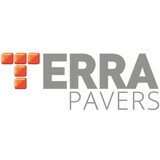 Terra Tiles & Pavers is a legally registered paving and flooring company made out of true professionals driven by the passion of delivering the best possible finished product. Every step of the process is equally important to us. From sales, conception and design, to materials selection and construction our people will make you feel good, will give you peace of mind and will surely give you the highest quality product. 1951 NW 7th Avenue Ste# 13101 Miami, FL 33136 (305) 925-8124 www.cricketpavers.com CricketPavers is your best source of paving supplies from a variety of travertine pavers and brick pavers in the South. Florida market. We also offer paver installation services in Wellington, Florida so that you can assure to have experienced paver installers that will install the brick pavers or travertine pavers of your choice. We are a unique store located in one of the historic streets in Miami ( 8th street ). We have encounter a need to bring to Miami and the Broward area a new and innovative outdoor store with a lot services and prodcuts for your business and home. Hardscape.com has ventured into this industry because we have seen how insufficient the choices on high quality stones and tiles are. Our aim is not only to cater to the increasing demand for these hardscape materials but also to be the forefront in the hardscape industry. Eventually, more and more architects, designers, contractors, engineers, and builders have relied on us for their hardscape needs. They have trusted us because of the quality of our products. To request a quote, please call us directly at 1-888-513-6374 or fill out the Request an Estimate form. Broward Sealcoat Services specializes in asphalt sealcoating and minor repairs here in S. Florida. We also specialize in concrete sealing, staining, resurfacing and minor repairs. With me, you will get quality work at affordable prices. All work is done by me personally, to ensure the job is done right the first time and to the highest standard. Sealing your asphalt and concrete is very important for it's longevity, not to mention more curb appeal for your home. I use only the highest quality grade asphalt sealer and concrete sealer/stain. Beware of companies who will do your driveway for cheap, you are most likely getting an inferior product. We do minor asphalt repairs such as potholes, broken edges and we also do crack fill and elimination of oil stains. We also do minor concrete repairs like chips and cracking. Cracks can cause your asphalt or concrete to go down hill quickly and you'll end up with a very expensive fix. We also do concrete resurfacing, make that old concrete look like new again. Any of these repairs mentioned will only get worse and more expensive the longer you wait. Fort Lauderdale Pavers provide a full array of services from driveway pavers, brick pavers and pool deck installation to full outdoor landscaping, palm trees and outdoor kitchens. We'll do it all for you in one cost-effective gorgeous project! Spartan moving system also offers special moving services for items like antiques and artwork, as well as pianos and bikes. Deep expertise in land development and waste water management design. 30+ years serving the South Florida region with considerable emphasis on the Miami Beach area. Focus on Commercial, Residential, and Institutional development both in the private and public industry. Great familiarity with local agencies process/procedures - expediting projects. Expert advisory, delivering quality solutions at competitive prices. “The Brick Pavers Experts.” We specialize in the installation, repair, remodeling, maintenance, pressure cleaning and sealing, color seal or clear seal of your brick or stone pavers. We also specialize in retaining walls and erosion control. 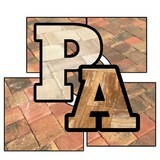 Paver driveways, pool decks, sidewalks, patios, walkways, steps, walls and more. Pressure cleaning roofs, enclosure screens and more is also within our specialties. Please view our show room or photo album for samples of our work. Homeowners in Pompano Beach often don’t realize just how important a driveway is when it comes to curb appeal; it’s one of the first things guests see when they arrive and one of the last when they leave. So if your front drive is damaged or you want to switch from, say, a gravel driveway to an asphalt one, hire a Pompano Beach, FL driveway installation and maintenance professional to help you create your dream driveway. From installation to repair, Pompano Beach, FL driveway contractors are responsible for a variety of planning, installation, construction and driveway maintenance services. Driveway materials. While most driveway contractors in Pompano Beach, FL primarily work with asphalt, they are also experts on the wide range of available driveway materials. If you are looking for something different than a standard asphalt driveway, your pro can help you select driveway pavers or customize a brick driveway design. A driveway installation and maintenance professional may work closely with a Pompano Beach, FL builder, landscape professional or various manufacturers and suppliers. Find a Pompano Beach, FL driveway installation and maintenance professional on Houzz. Narrow your search in the Professionals section of the website to Pompano Beach, FL driveway installation and maintenance. You may also look through Pompano Beach, FL photos to find examples of driveways that you like, then contact the professional or contractor who worked on them.